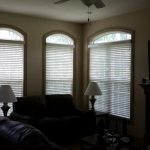 Horizontal blinds remain the most frequently installed window covering. They allow users to control light and privacy with a limited budget. Wood blinds come in slat sizes ranging from 1” to 3” while metal blinds are available in ½, 1”, and 2” louver sizes. Cord or wand tilts and cordless lift systems are available as are a variety of tapes for lift ladders. Fauxwood blinds are offered in polymer and composite materials. Outside mounts, Inside mounts, and shallow mounts are dictated by the window frame. 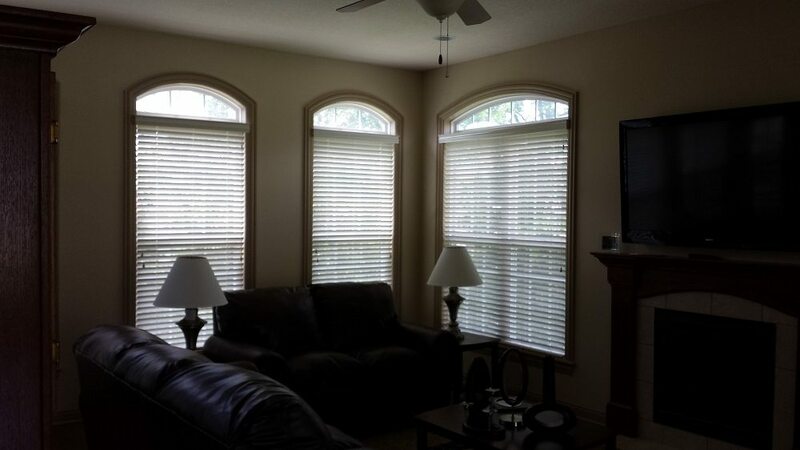 All wood, reed, bamboo and fauxwood blinds installed by Columbia Blinds &amp; Shutters feature solid valances over steel headrails.